Mens dress shirts have never been just a shirt to wear with your suits but a statement of what you feel style is all about. 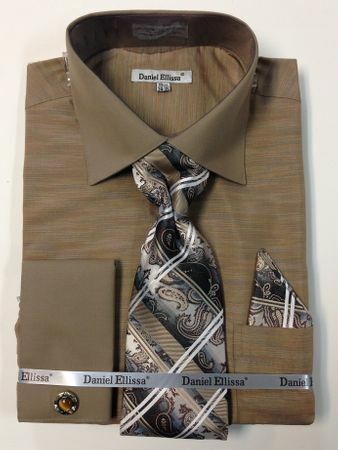 This dark beige french cuff dress shirt and tie set is made by Daniel Ellissa and comes with the matching tie set ready to make a simple suit like beige or khaki really pop. Made of Cotton/Poly fabric.